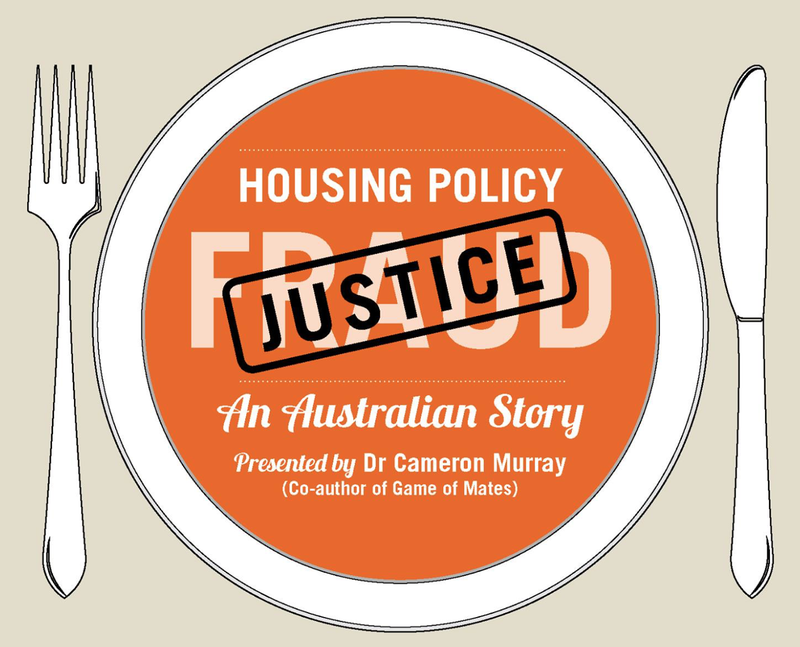 RBA governor Glenn Stevens needed to say something about house prices in his recent speech. What he said was a little muddled, but if it is meaningful, does not bode well for home prices. The analysis however got quite a bit of support from one property commentator. 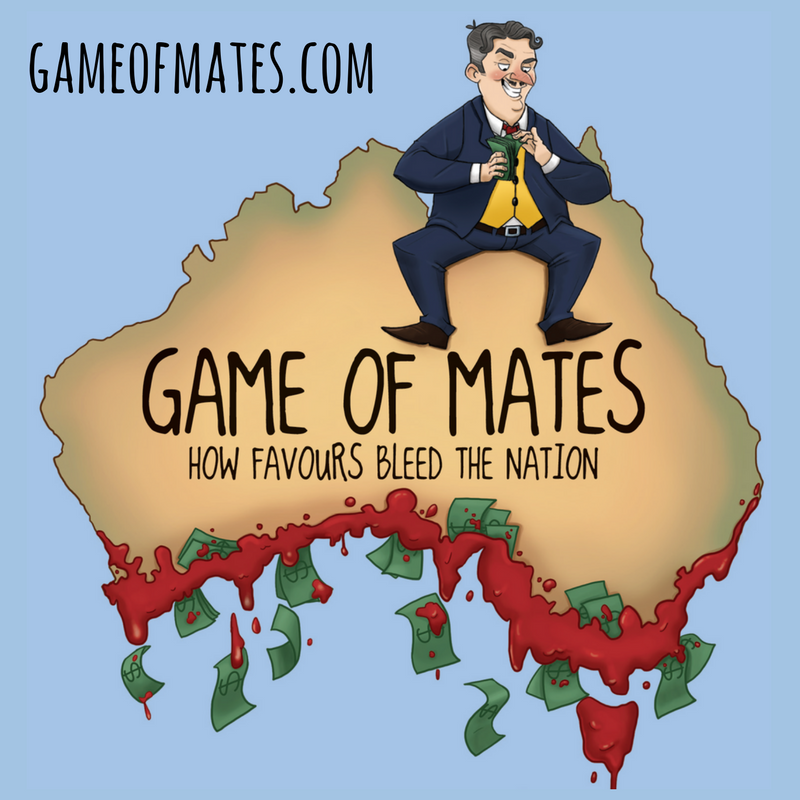 It surely is no coincidence that the two state capitals that have had the clearest evidence of declining house prices over the past couple of years – Brisbane and Perth – are the two that previously had the highest rate of population growth and that have since had the biggest decline in population growth. Moreover, it is hard to avoid the conclusion that changes in relative housing costs between states, while certainly not the only factor at work, have played an important role. Relative costs are affected by interstate population flows, but those costs then in turn have a feed-back effect on population flows. This is particularly so for Queensland. I decided to check the facts. Below is a graph derived from the ABS Sept 2010 demographic statistics on State populations. 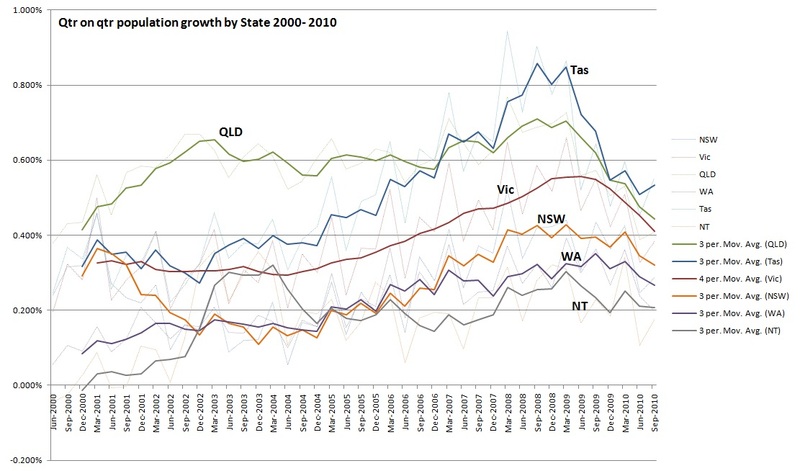 The figures show that WA did in fact have a population growth spurt during 2008, but that WA and QLD still retain their claim to the highest population growth rates in the country. In fact, Vic also recorded declines in growth rates of a similar magnitude to QLD in 2009-2010, but home prices have been far better maintained there. The only conclusion, to draw, if we believe the RBAs population explanation of home prices, is that with national population growth rates now down the gurgler, home prices nationwide can expect significant falls. Er, not sure if those population stats are entirely correct. 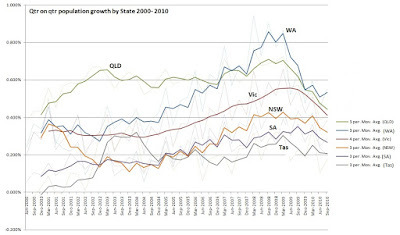 Basically there's no way Tassie is one of the fastest growing states of the nation, and I'm pretty sure WA growth over the past decade has averaged higher than Vic. I was hoping that was the case. I spent ages looking through the spreadsheet wondering why it appeared a bit unusual. Thanks for that. I've updated the post. Great post on economist environmentalist. Thanks for sharing.